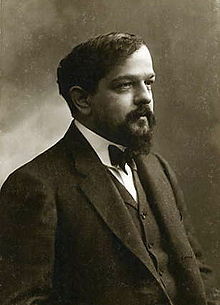 Claude Debussy, 22/08/1862 - 25/03/1918. A French composer whose works have been a seminal force in the music of the 20th century. He developed a highly original system of harmony and musical structure that expressed in many respects the ideals to which the Impressionist and Symbolist painters and writers of his time aspired. His major works include Clair de lune (“Moonlight,” in Suite bergamasque, 1890–1905), Prélude à l’après-midi d’un faune (1894; Prelude to the Afternoon of a Faun), the opera Pelléas et Mélisande (1902), and La Mer (1905; “The Sea”). We have other Claude Debussy music in stock and due to be added to this site. Please e-mail your requirements to us.